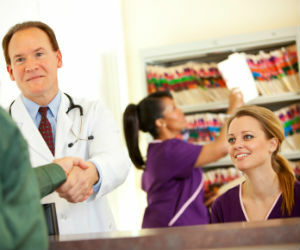 Healthcare Facilities Insurance Kentucky. Healthcare facilities have unique insurance needs, and a business owner's policy is one first line of coverage to meet those needs. However, because of the many inherent risks faced by healthcare facilities and the providers and employees working in them, it is necessary to carry the right level of insurance to meet your facilities needs in order to guard against potential liabilities. Risks such as slips and falls, contamination, personal data theft, and property damage all loom and are all potential perils that your facility faces each and every day. There are also unique perils that are specific only to the healthcare industry that you should consider when making a healthcare facilities insurance Kentucky policy purchase. 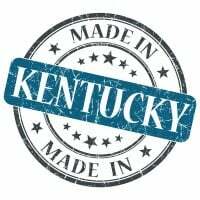 Healthcare facilities insurance Kentucky protects your facility from lawsuits with rates as low as $127/mo. Get a fast quote and your certificate of insurance now. How Can A Healthcare Facilities Insurance Kentucky Policy Help? General liability insurance. This healthcare facilities insurance Kentucky covers property damage, accidents related to occurrences in outpatient facilities, and damage to rental property. This type of coverage also protects your business from lawsuits arising due to negligence, slander, libel, personal injury, false advertising, and faulty products. In addition, think about reviewing your current healthcare facilities insurance Kentucky coverage with your agent to make sure that the coverage you have is sufficient. In many cases, some of the policies you own may be outdated and need to be reviewed to ensure that the insurance you have no meets your current needs. As a bonus, your agent can work with you to get separate quotes from multiple insurers, making sure you get the biggest bang for your facility's insurance budget, improving your facility's overall bottom line while keeping your insurance needs in the forefront and fully covered. Request a free Healthcare Facilities Insurance Kentucky quote in Alexandria, Ashland, Barbourville, Bardstown, Beaver Dam, Bellevue, Benton, Berea, Bowling Green, Brandenburg, Cadiz, Calvert, Campbellsville, Carrollton, Central, Cold Spring, Columbia, Corbin, Covington, Crescent Springs, Crestview Hills, Crestwood, Crittenden, Cynthiana, Danville, Dawson Springs, Dayton, Douglass Hills, Eddyville, Edgewood, Elizabethtown, Elsmere, Eminence, Erlanger, Flatwoods, Flemingsburg, Florence, Fort Mitchell, Fort Thomas, Fort Wright, Frankfort, Franklin, Georgetown, Glasgow, Graymoor-Devondale, Grayson, Greenville, Harrodsburg, Hartford, Hazard, Henderson, Highland Heights, Hillview, Hodgenville, Hopkinsville, Hurstbourne, Independence, Indian Hills, Irvine, Jeffersontown, La Grange, Lakeside Park, Lancaster, Lawrenceburg, Lebanon, Leitchfield, Lexington-Fayette, London, Louisville, Ludlow, Lyndon, Madisonville, Marion, Mayfield, Maysville, Middlesborough, Middletown, Monticello, Morehead, Morganfield, Mount Sterling, Mount Washington, Murray, Newport, Nicholasville, Oak Grove, Owensboro, Paducah, Paintsville, Paris, Park Hills, Pikeville, Prestonsburg, Princeton, Prospect, Providence, Radcliff, Richmond, Russell, Russellville, Scottsville, Shelbyville, Shepherdsville, Shively, Simpsonville, Somerset, Southgate, Springfield, St. Matthews, Stanford, Stanton, Taylor Mill, Union, Versailles, Villa Hills, Vine Grove, Walton, West Liberty, Wilder, Williamsburg, Williamstown, Wilmore, Winchester and all other cities in KY - The Bluegrass State.